Nobody buys newspapers anyone, but it doesn’t mean you can’t have your daily fix of crossword puzzles. Like everything else, the classic word-teasers have moved into the digital age; there is an abundance of crossword apps in the Google Play Store. So, if you want to keep your brain healthy, improve your vocabulary Vocabulary Challenged? Try 8 Things On Dictionary.com To Improve Your English Vocabulary Challenged? Try 8 Things On Dictionary.com To Improve Your English Dictionary.com and its resources make it almost a portal that takes you on a journey of word discoveries. Word has it that it is probably the most frequented of online dictionary and reference sources on... Read More , or pass the time on your commute, what are you waiting for? 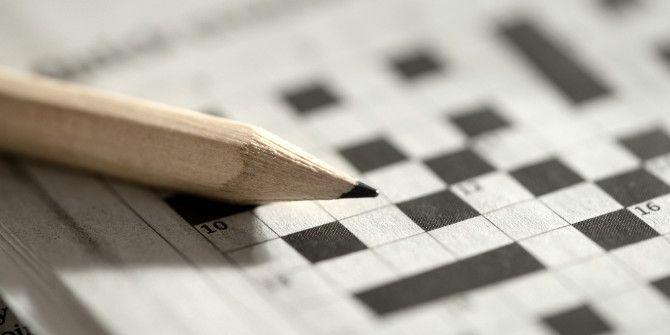 Download one of these 10 awesome crossword apps today! Despite the somewhat unimaginative name, Crosswords is one of the best puzzle apps in the store. The app shows the clues within the crossword itself, rather than in a separate list. It features pinch-to-zoom, smooth scrolling, and a “gimme” for both letters and whole words in case you simply can’t find the right answer. Interestingly, it also supports six languages (English, Spanish, German, French, Italian, and Portuguese), making it a great tool if you’re trying to learn a foreign tongue The 8 Best Language Learning Apps That Really Work The 8 Best Language Learning Apps That Really Work Want to learn a language free? These are the best free language learning apps that will have you speaking a new language before you know it. Read More . Shortyz Crosswords has been the definitive Android crossword app for many years, and it shows no signs of relinquishing its position. Its standout feature is its ability to download free puzzles OnlineCrosswords: Free Printable Crossword Puzzles OnlineCrosswords: Free Printable Crossword Puzzles Read More from a number of sources. They vary from mainstream publications like USA Today and The Washington Post to more specialist magazines such as The Chronicle of Higher Education. You can also download the New York Times’ puzzles if you have a subscription. From a design standpoint, it’s the most “traditional” on the list. It’s got white blank spaces and black dead areas, exactly like a crossword should be. Astraware Crosswords attempts to introduce an element of competitive gameplay. Every day, the app sends a new crossword to your device. The app times how long it takes you to solve the puzzle then adds your score to a global leaderboard. You will be competing against more than 10,000 other players. 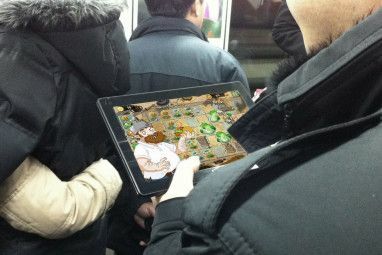 On weekends, a harder, larger puzzle is downloaded, but your time is not monitored. The offline gameplay is restricted to 60 puzzles across three difficulty levels and four grid sizes. Cluegle is a crossword app for the 21st century. 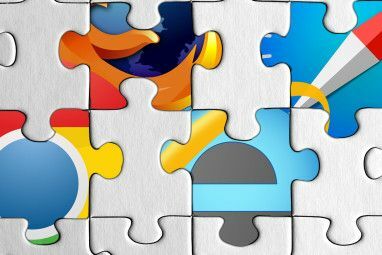 Rather than using static clues and downloadable puzzles, it scours search engines for popular trends Compare the Popularity of Any Two Topics With Google Fight Compare the Popularity of Any Two Topics With Google Fight Which is more popular: Game of Thrones or Breaking Bad? You could come up with all kinds of criteria to decide, or you could toss them into the Google Fight ring instead! 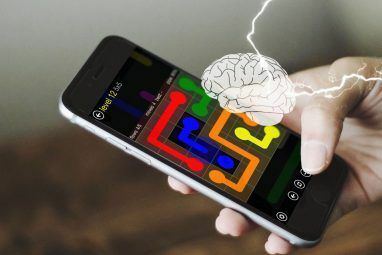 Read More , then creates new brain teasers in real-time. It means no two puzzles will ever be the same and there are a limitless number of grids. And it’s not restricted to simple queries. Sometimes you’ll discover popular memes and pop culture references have found their way into the gameplay. Did you know that an entirely separate class of crosswords exist? They’re called “Japanese Crosswords” (or Nonograms). The gameplay requires you to use numbers on the x-axis and y-axis to fill the correct cells. It’s like a cross between a regular crossword and Sudoku. The end goal is to reveal a hidden picture on the grid. Be warned, it can take hours if you choose a challenging puzzle. The app offers puzzle sizes from 10×10 up to 90×90. The title is a lie; the app does not have the world’s biggest crossword. But it is still a lot of fun to play. Like Astraware, it tries to introduce more gameplay elements beyond simply solving puzzles. The game is subdivided into 361 individual puzzles with 7,000 clues. The 361 mini-puzzles do eventually combine to make one master problem. As you complete the mini puzzles, you win trophies. There are 45 to collect, along with 57 unlockable quests and 10 achievement badges. Don’t have the time or the patience to take on a 100-clue mammoth? Try the 5-Minute Crossword Puzzles app instead. As the name suggests, you can complete all the crosswords in a matter of minutes. Some have as few as six clues. For an even easier time, you can choose to display all the letters used at the bottom of the screen. If you’re a passionate lover of crosswords, AlphaBetty Saga is an excellent way to get your kids involved in your hobby How to Find Your Passions Using 4 Simple Exercises How to Find Your Passions Using 4 Simple Exercises Are you unhappy at work? Need help finding your own passions to explore? Take these tips and exercises to find your passion. Read More from an early age. The aim is to find new words in letter grids as your character attempts to complete the “Encyclopedia of Everything”. There are more than 100 levels, with each more complicated than the last. Your child can also post their scores to a leaderboard to compete against their friends. If you’re too mentally exhausted for a crossword, why not try a word search instead 10 Websites to Make and Print Word Search Puzzles 10 Websites to Make and Print Word Search Puzzles Read More ? It won’t be as intellectually stimulating, but it’s a fun way to pass some time. The Play Store is packed with word search apps, but my favorite is this offering from MetaFun. It’s got clean graphics, hundreds of puzzles (sub-divided by category), timed games, and even a multiplayer mode. The game supports 14 languages. What’s the worst part of crosswords? Arguably, it’s the frustration you feel when you can’t think of that final answer. There’s nothing more unsatisfying than seeing a puzzle with one solution missing. Lexeme is the best crossword solver in the Play Store. It can help you solve both regular crosswords and cryptic crosswords, it includes an anagram finder, and has a built-in thesaurus. It’ll even help you solve anagrams in other puzzle games. It’s a must-have for crossword lovers. What Are Your Favorite Crossword Apps? I’ve introduced you to 10 apps that cover everything from complex riddles to easy teasers. I hope it’s given you an insight into the wide variety of crossword apps available. But there are hundreds more in the Play Store. So, I’d love to know which crossword games do you have on your Android? What features make them stand out? You can leave your tips and recommendations in the comments below. Originally written by Saikat Basu on February 21st, 2012. Thanks for introducing them.I think they're effective in improving vocabulary and brain training.